Have you been looking for the Juggernaut? 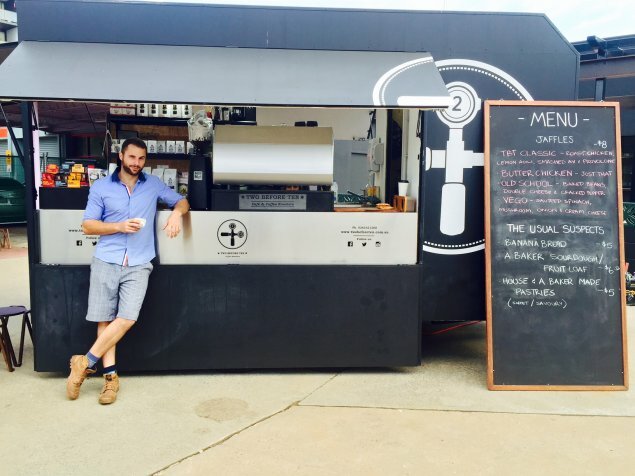 If you were wondering where this coffee trailer has been, well it’s been everywhere! After opening on West Row in the city last year, the Juggernaut moved out to Aranda shops temporarily, until Sunday night when it appeared on Lonsdale St, Braddon. The Juggernaut has been a favourite coffee spot of mine since it first opened, and like a true groupie, I have been following the trailers every move, so when Monday morning rolled around, there I was, coffee money ready to go. Having followed the trailer around, I’ve really seen the concept grow – the trailer is now the exact definition of a juggernaut; a large, overpowering, force or object (e.g. a giant battleship). 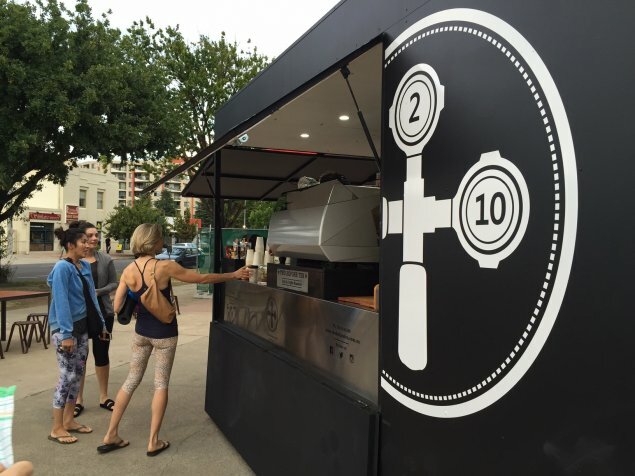 The trailer is a Two Before Ten initiative, so if you’re familiar with these guys, you’ll know the coffee is wonderful and is definitely going to give the competitors a run for their money. This is JJ by the way. Once upon a time he used to make me coffee every morning at A.Baker, so it’s safe to say he’s been doing this for a while. He and his other baristas, make a fantastic cup of coffee. 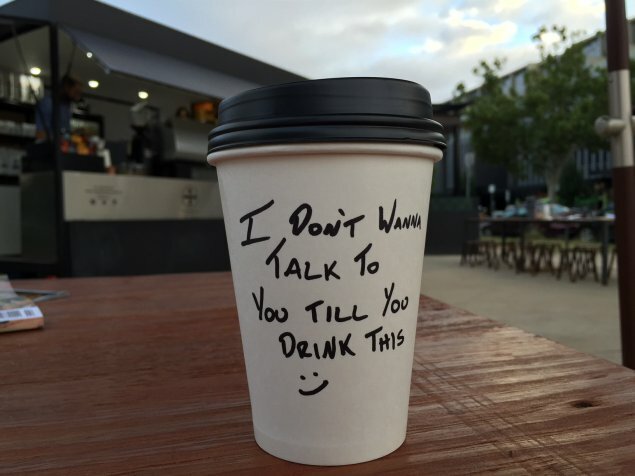 JJ is a bit of a character, so don’t be surprised if he changes your name from Sophia to Soap and leaves notes like this on your coffee cup! Feel free to give a little cheek back – I think he likes it! Visiting the Juggernaut is always fun, the customer service, coffee and food is always on point. 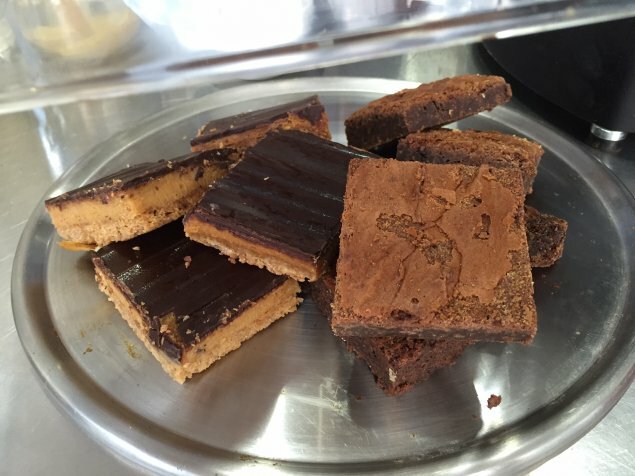 Speaking of food, the Juggernaut offer a variety of slices and pastries, as well as jammin’ jaffles. 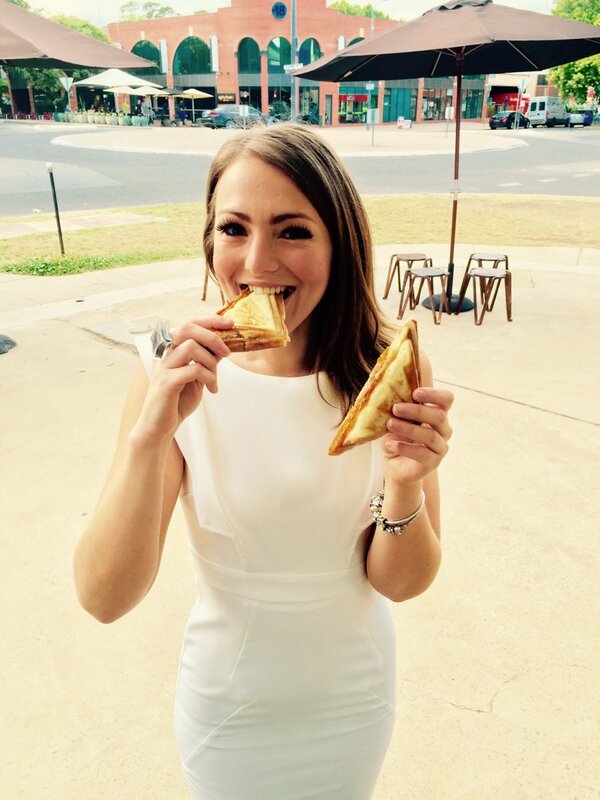 Jaffles (way better than just an ordinary toastie) take me back to my childhood, so I was very excited to discover them on the menu and very quickly ordered a chicken jaffle – absolutely delicious and oozing with cheese. In case you were wondering, I didn’t get any on my white dress! There is also a variety of Emma & Tom’s Juice if you’re not feeling like coffee. 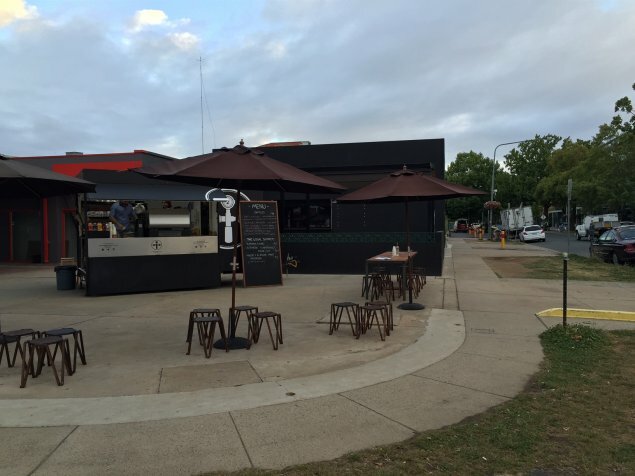 Braddon sounds like it will be more of a permanent home for the Juggernaut. It’s located at the big roundabout, opposite Waves Car Wash, at 18 Lonsdale St and is open 6:30am – 2:00pm Monday to Friday and 7:00am-3:00pm Saturday and Sunday. It’s worth the walk from the city and definitely worth a few laps around Braddon for a car park. 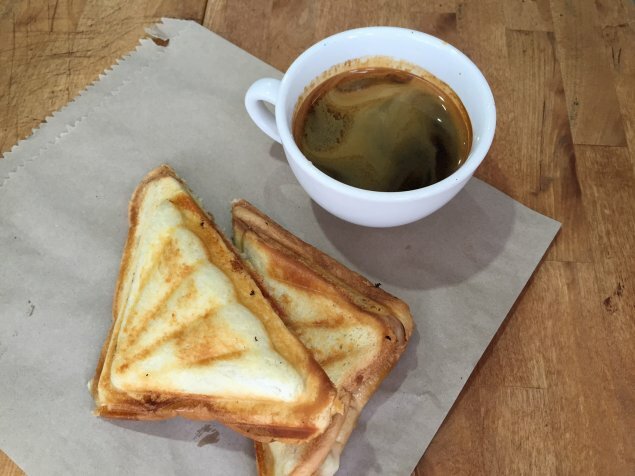 There is cover at the trailer while you wait for your coffee, as well as big tables and ample seating for you to sit and take in the hustle and bustle of Braddon.